Biocell Water supply and install wastewater treatment plants for schools, creches, colleges, camps and summer schools of any size in need of off mains drainage. We design and supply versatile school sewage treatment solutions specifically for education projects and similar applications within the educational sector. Our commercial sewage treatment plants are bespoke solutions based on the characteristic wastewater type, in this case, school wastewater and sewage. In rural areas without a public sewer for school sewage to discharge to, a new school or education building will require its own sewage treatment plant. For existing schools with older septic tank systems, these will need upgrading in the event of a new extension or school building. This is to cater for greater hydraulic and organic loadings from the additional students and pupils. If an existing plastic or GRP school septic tank is structurally failing or no longer meeting discharge regulations, that school will need a septic tank upgrade or a new sewage treatment plant. An old school septic system can often be a source of pollution to groundwater and surface water. Upgrading a school septic tank can also necessitate meeting stringent new EPA and EA standards and discharge licenses. These new standards require the incorporation of denitrification, phosphorous elimination and ultra violet treatment into any wastewater treatment system design. 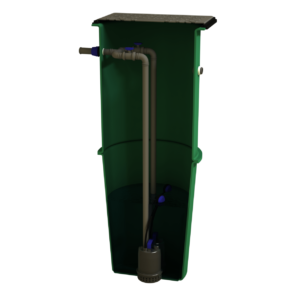 Our SBR kits offer a method of upgrading an existing septic tank to a fully functioning sewage treatment plant. Biocell Water has extensive experience in this sector and can provide the best school wastewater treatment system for your education building project. Take a look at our relevant case studies such as the supply of a packaged wastewater treatment system as part of a school extension or the supply of a 250PE plant and pump stations for a local community school. Why Choose Biocell Water for School Sewage Treatment? A number of key factors need careful consideration with a wastewater treatment system for a school, creche, nursery or playschool, for example safety, plant warranty/guarantee, power consumption, site restrictions, operation and maintenance costs. With our extensive and relevant experience in commercial sewage treatment and specifically in projects for the education sector, we are confident that we can provide the most economical and reliable wastewater treatment solution. When investing in a sewage treatment plant for a creche, nursery, playschool or school it is important not to overlook the warranty. Biocell commercial concrete school sewage systems come with a 40 year structural warranty and guarantee. Plastic and GRP tank manufacturers provide a short 10-15 year guarantee which is void unless specialist installation works are carried out by industry professionals. Schools are run on tight budgets, so having to replace a plastic system after a relatively short time is simply not an option. Biocell Water are the only manufacturer offering a guarantee that our wastewater treatment plants will not need replacing or removal after 10-15 years due to structural failure or deformation. The long term operation and maintenance costs for a school or college will be minimal with a Biocell packaged treatment plant. Unlike other sewage systems that constantly use energy, our packaged plants run in cycles using advanced SBR technology. This takes advantage of specific times based on class schedules and pupil numbers resulting in approximately 60% less electricity use than standard aeration plants and disc type plants. In addition to this, Biocell systems operate completely automatically. A secure, watertight kiosk above ground holds all components. Plus, there is no need for specialist confined space access for any maintenance of the plant. All components including air compressors and control panels are also interchangeable with any other brand of equipment. So local maintenance companies can easily maintain our solutions during the school holidays. We also offer optional value for money maintenance packages to ensure the continuous high performance of our treatment systems. Installation costs will be minimal with the right choice of treatment plant such as with a Biocell Commercial Concrete+ for school sewage treatment. 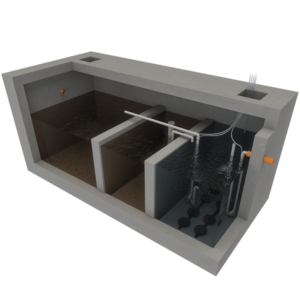 Unlike large commercial plastic tanks, our concrete tanks do not require a concrete surround which eliminates the need for costly civil works. 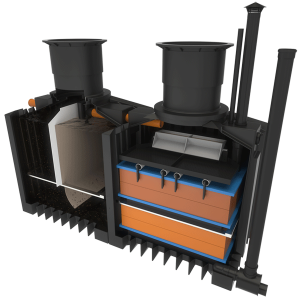 Furthermore, they can be installed either above ground or below ground to suit the site specifications. Get in touch to speak with a member of technical sales to find out more about a sewage treatment plant for a new school or education sector building. 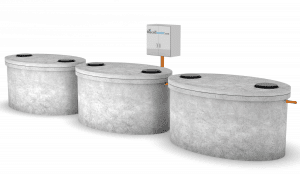 We can make recommendations on the ideal commercial sewage treatment solution for the site and give a free quotation once we have established your particular project requirements. 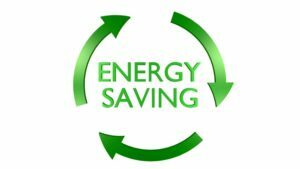 Our solutions always demonstrate their superiority to the market competition on quality, reliability, energy use and effluent quality. All our products are independently tested and certified and meet the regulatory local and national standards. Brilliant work from start to finish by the team at Biocell. I would highly recommend their services. Everything running smoothly with the new treatment plant. Let's solve your sewage treatment needs today!